According to Templafy, the average person receives 121 emails a day. 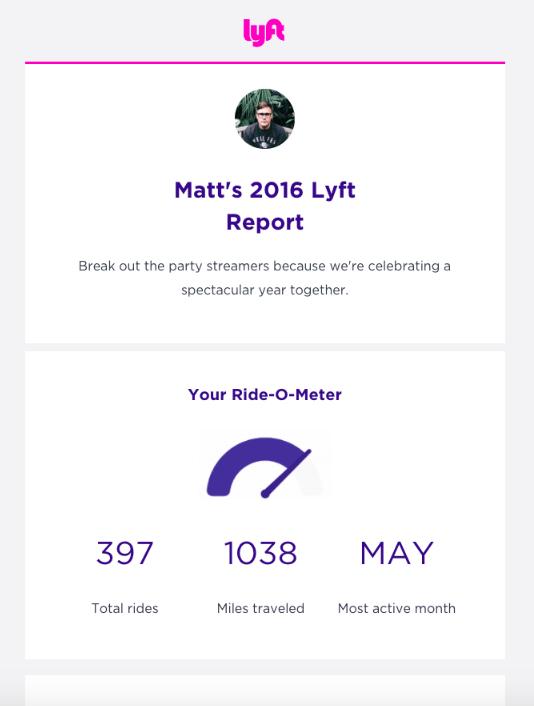 That’s 121 different messages, 121 different promotions, 121 different calls to action. It’s all too easy for your email to get lost in your recipient’s inbox with that amount of email. How can you break through the noise and get your email noticed? And not just noticed, but read and clicked through? That’s where copywriting comes in. The way you structure and write your email can dramatically impact your click-through-rate (CTR). 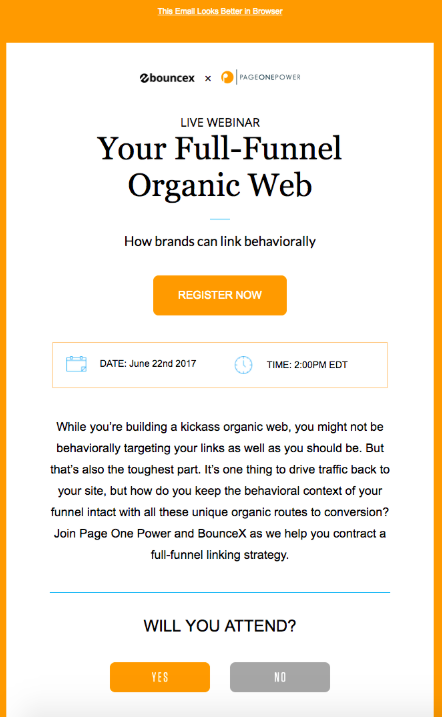 From the actual words to personalization, the content of your email is just as important as the subject line. 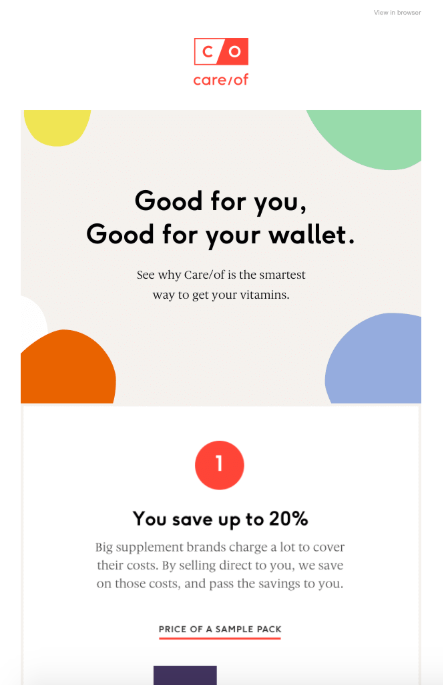 Below we’ll share a few copywriting techniques you can use to improve the results of your email campaigns. In elementary school, when you were learning how to write, your teachers probably taught you how to write an essay. You had to have an introduction, body, and conclusion. They gave you a template, or formula, for writing a well put together essay or paper. Luckily, there is also a formula for good email copywriting. Enter the PAS formula. Problem is where you identify the challenge of your recipient. What issue are they having a hard time solving? And why is this a pain point for them? As you’re explaining the problem, you want to paint this extremely vivid picture of the problem. So vivid that it evokes an emotion while reading. Because you’re connecting emotion to the issue. People don’t try something new or go down a different path unless they’re sick and tired of not getting their desired result. Painting the vivid picture gets them emotionally invested in what you’re saying. And allows you to begin building trust. And trust is where you’re able to convert them from mildly interested to definitely interested. Agitate is where you figuratively pour a little salt into the problem wound. You bring up even more reasons why the problem needs to be fixed. Maybe it’s connected to lost ROI? Or lack of organization? Or missed deadlines? Whatever the deeper reason, you bring that up to evoke even more emotion. But don’t pour too much salt into the wound. You don’t want to make your reader distraught. You want them to be frustrated, but interested in solving the problem. 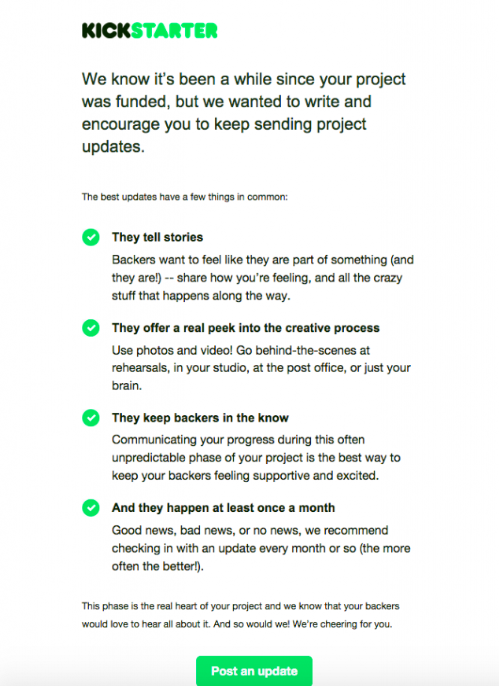 And now the fun part – the last piece of the email is where you get to make everything all better. Now you share the solution to the problem. After reading and identifying with the emotions you’ve evoked earlier, your audience is more likely to engage with the solution (and take action!) because they’re ready to find the solve. They believe that you understand them. That you know exactly how to help. If you’re familiar with Brian Dean from Backlinko, you may have heard of bucket brigades. If not, get ready to be amazed. Bucket brigades are simple words/phrases with a colon at the end. They’re highly effective at getting people to keep reading your email and click through to your designated landing page when they’re about to click the back button..
Bucket brigades peak your readers interest when they’re about to leave. They’re a way to re-engage without being forceful about it. Feel free to use Dean’s tried and true options in your next email or make up your own. When it comes to email, less is more. And that absolutely means your copywriting. Depending on the type of email you’re sending, the actual email can be lengthy (several scrolls worth) or short (no scrolls). And both are totally okay. However, the words used to make up the email should be words that are absolutely necessary for the email to make sense. Essentially, you want to get rid of the fluff. Leverage peer reviews – Getting someone to review your email is not only good from a grammar/punctuation/spelling perspective, but also for ensuring that your email makes sense and is to the point. It’s also a good idea to get different people to review different emails, that way the same person doesn’t get used to your writing and can’t identify if there is something amiss; Today, it’s very simple to find freelance writers who can review your emails — you can use EssayTigers, Hubstaff Talent, Upwork, and other freelance services. Does this fit the goal of the email? Is this necessary for my audience to know? And if so, why? When you receive an email, don’t you like it when you’re addressed by name or when the body of the email is targeted specifically to you? You feel special, right? Well, why not do that with your own emails? Taking the time to personalize your copy can have tremendous, positive effects on your CTR and revenue. Another way to personalize is in the body. The content will of course depend on your products and services, but should ultimately be exclusively for the recipient. This Grammarly example is perfect to showcase personalized body content. 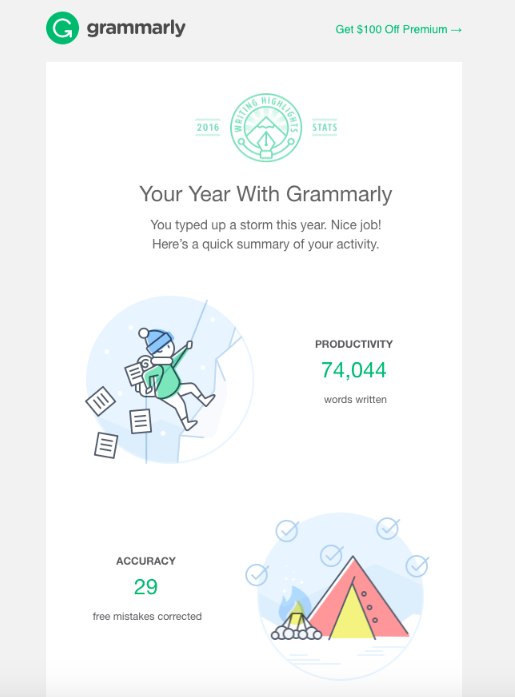 They share stats solely about the user and how they’ve used the Grammarly service. 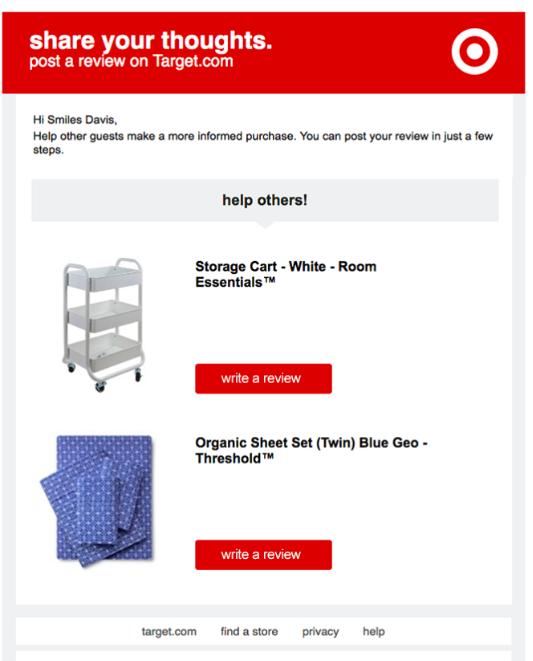 You’re personalizing the email with the actual items they bought and also able to make complementary product recommendations. Remember when you received snail mail from your friends and they’d always put a P.S. or a P.S.S at the end? Didn’t your eyes always go there first before you read the actual letter? The same effect happens when you use them in your marketing emails. A P.S. is a good way to reinforce the point of your email. Whether you’re promoting a discount, value-add, or new product, your recipients will for sure notice the P.S. and go back to read the actual content of your email. Include a link – Links in the P.S. 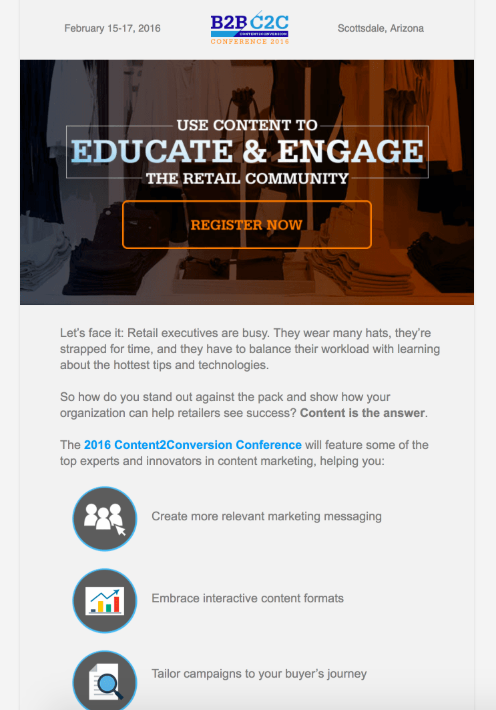 section can generate more clicks than other areas of your email. Just make sure it’s relevant and worth the click. Keep it short – Your P.S. should be short and to the point. If it’s lengthy, your message can get lost in the many words. Email is not going away anytime soon. It is still one of the best channels to engage and convert prospects into customers. By making small tweaks to your email copywriting, you can increase your CTR and your overall ROI. Just don’t make all the tweaks at one time. Test one thing at a time so you can see what works and what doesn’t. With practice, you’ll soon be sending emails with amazing CTRs all the time. I currently work as a content marketer for EssayTigers, the writing service. Seven years ago I started my career as a copywriter. Now, I manage the team of copywriters, but I still like to create posts on education, marketing, self-development, and career.